I have lived in London now for 12 years. 12 years, people. And in that 12 years I have been on the hunt for real American buffalo wings in London. Everywhere I went it seemed everyone had their own twist on the traditional buffalo wing, but no one in London had managed to get it quite right. 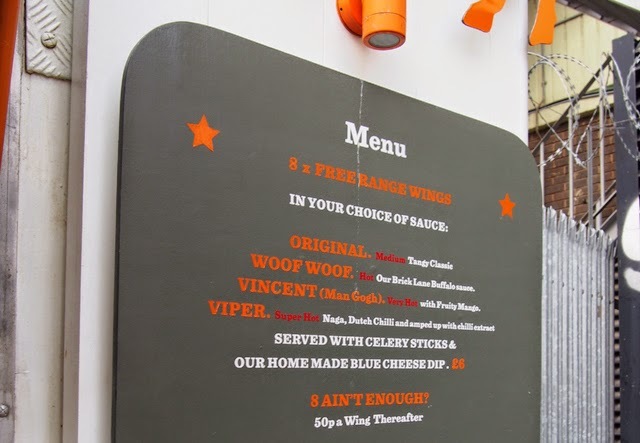 Well, ladies and gentlemen, I am pleased to report that I tripped upon real American buffalo wings while out and about in Shoreditch this week - at The Orange Buffalo. No lie, this is the real deal. The sauce, the chicken, even the blue cheese, is just like you'd find in a sports bar anywhere in America. 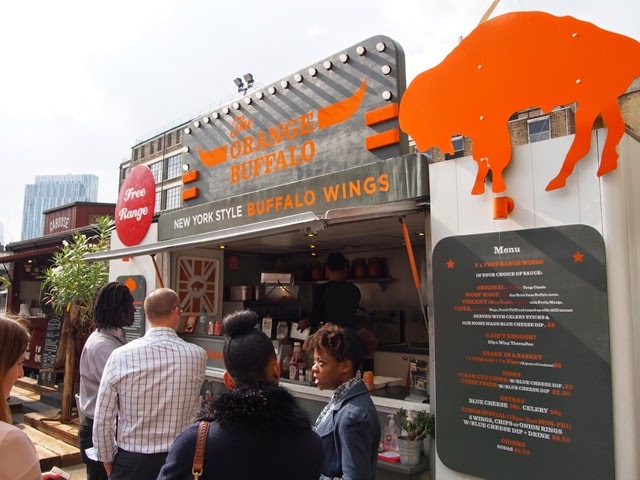 Only this isn't America, these buffalo wings are served out of a food truck behind Truman Brewery in the East End of London. 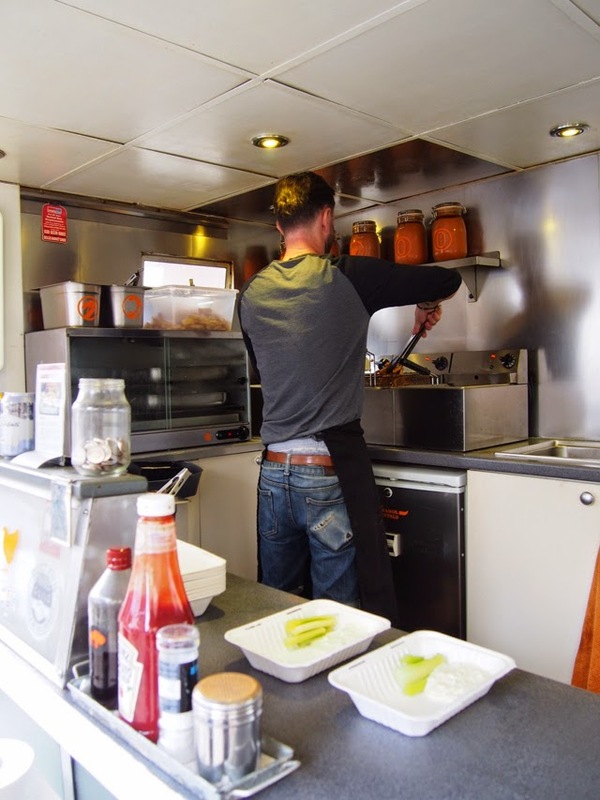 Here's the even crazier thing to report - the food truck is run by a man from Yorkshire. 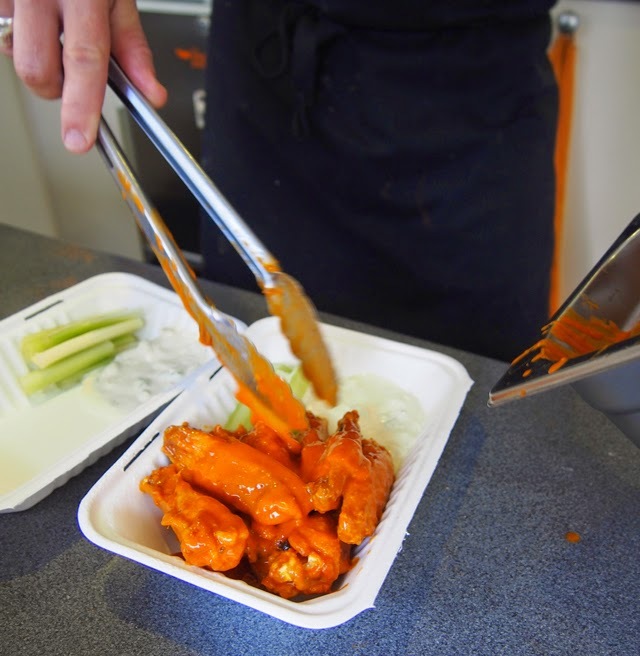 So here's what you need to now -The Orange Buffalo wings are awesomely priced at £6 a box - totally filling and piping hot as they are made fresh to order. 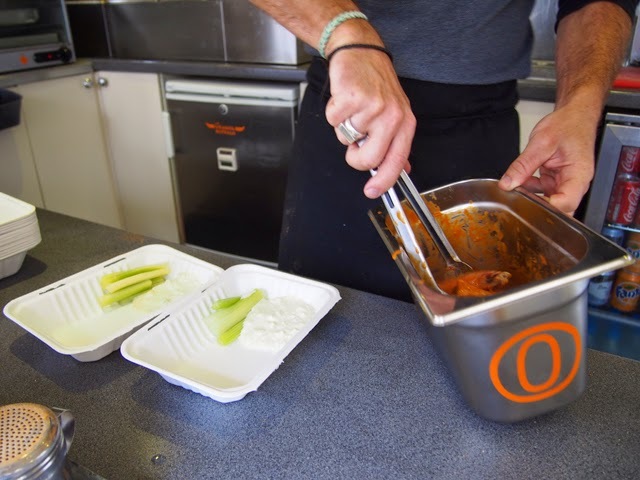 They are spicy with the original sauce ,but you can have your London Buffalo Wings made evens spicier, if you dare! 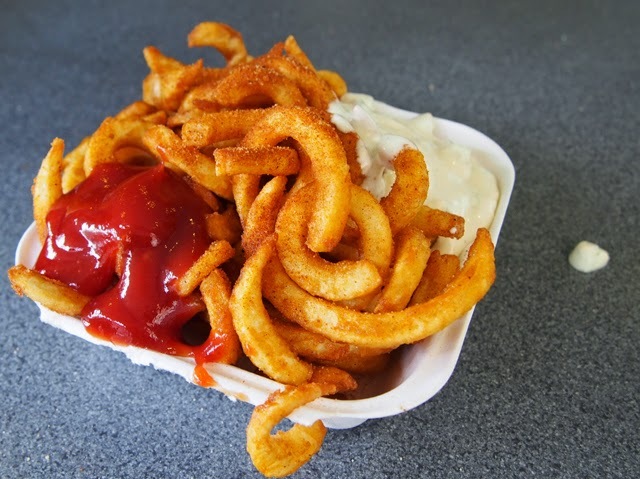 Oh, and don't forget the curly fries with American fry spices. Don't worry about cash as they take card on sight. 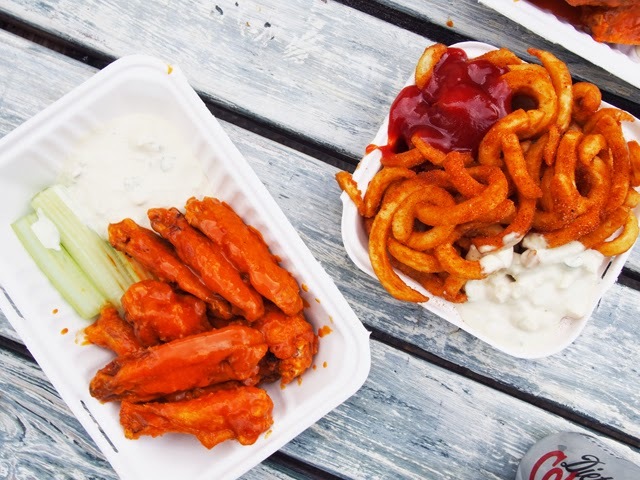 Happy Buffalo Wing splurging!